We got in two days before the show started to ensure our boxes were there and we had enough time to set up. We arrived at Pier 94 and our stuff was of course not there and my booth walls were not up. We made some calls every one assured us it all be ready the next day. The next day set up went great - Mike is so good at getting everything up straight/lined up - it was a long day but it looked fantastic once it was all set up. Its logistically so weird to be working with foam core walls and nothing but tape to hang things. Once the show started, it was so much fun meeting and talking to different boutique owners, buyers, press, interior designers… we really enjoyed talking to people from all over the country. I think we will have to go again next year! Coffee. Walking. Dinner. and more walking. While waiting for boxes to arrive the first day we walked the High Line - a converted elevated railway that runs through the city. It is such a beautifully landscaped park/walking path. 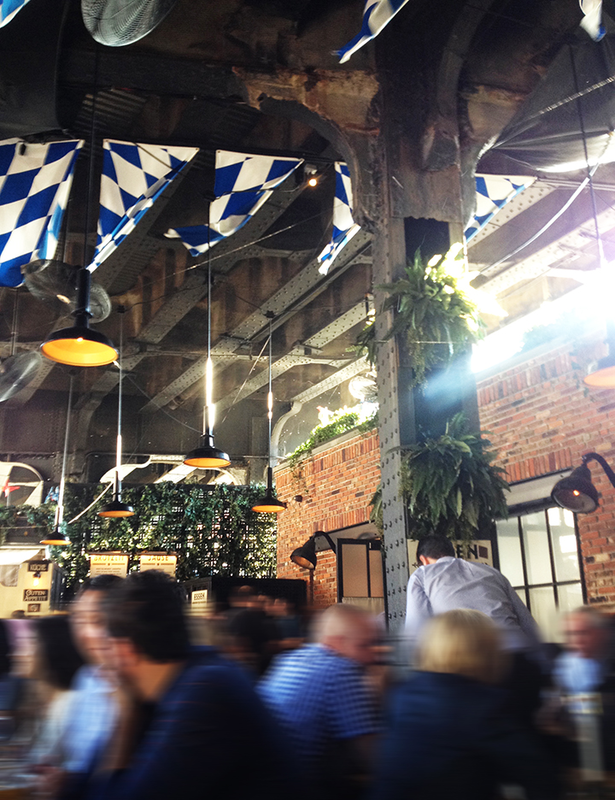 We stopped for a beer at the Biergarten a german beer haus under the High Line in the Meat Packing District that is part of the Standard (we need to stay there next time). 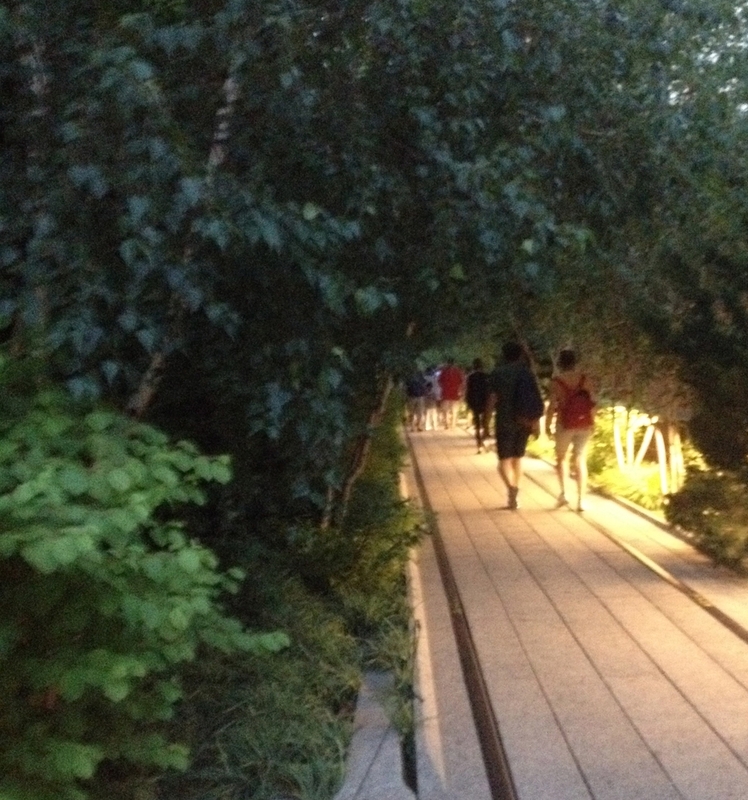 Then walked the high line back to Chelsea for dinner at Cookshop - BEST blueberry margarita, oysters and watermelon/canteloupe trout SUCH a great first dinner. After setup day we were starving... Lupa - Mario Batali's italian restaurant in Greenwich Village. Carbonara and Aglio Olio….AND wine, salumi plate, salad and cheese plate for dessert… seriously we floated out of there…and walked back to crazy times square. Another highlight of the week was the little coffee shop we went to every morning for cold brew coffee - well mike had a quad americano every morning (crazy man). Other favorites were Empellon, a really great Mexican Taqueria in West Village, West Gotham Market, Balthazar with April and Steve and his friend Brad, the essential NY Pizza at Don Antonios in Hells Kitchen which thankfully was near our hotel. We are so excited to be debuting Redcruiser at this years NY NOW - Newest Show at the Piers. I can't believe the show starts in S I X days! Its been a lot of work pulling everything together, figuring out all the logistics of how to build a booth in NY from MPLS. But I think we have figured most of it out…with a little last minute scramble scheduled for the next few days! Its has been so great to see everything all together - I can't wait to get our booth set up! product/booth packed, booth built (we used manny stone), mailers sent, inventory packaged - check. two more days of last minute scramble, a day with my sweeties at the pool and we will be off. I am getting V E R Y excited! A new summer tradition - this may even rival the anticipation of heirloom tomatoes! We will be making these every couple days for the rest of the summer for sure. I used smitten kitchens refrigerator pickles recipe. Jen Serafini's Chicago Apartment on The Everygirl. Fun to see my tea towel displayed as art! We snuck in our annual birthday vacation (my husband and my birthdays are exactly one week apart in the middle of summer - we were meant to be!) This year we rented a cabin close to Two Harbors and played at the north shore for the week with the girls and roxy. It was hard to take a break with so much work getting ready for NY but was so great once I left it all…kayak rides, lots of exploring, roxy's first swim (she loved it) late night saunas, lots of games and a simple modern cabin complete with a pair of vintage skis and skateboard hung on the wall (both red of course). Top two photos: Agate Beach at Goosberry Falls - not crowded like the falls and so beautiful! Row Two: View from Lutsen, our secret beach by Silver Bay. Row Three: New to us hike at Tettagouche, Temperance State Park. Last Row: beach dog and Angry Trout - the best restaurant up there in the best little town - Trout Chowder and a beer! is available now at Anthropologie! and will be in my store and etsy later this month. 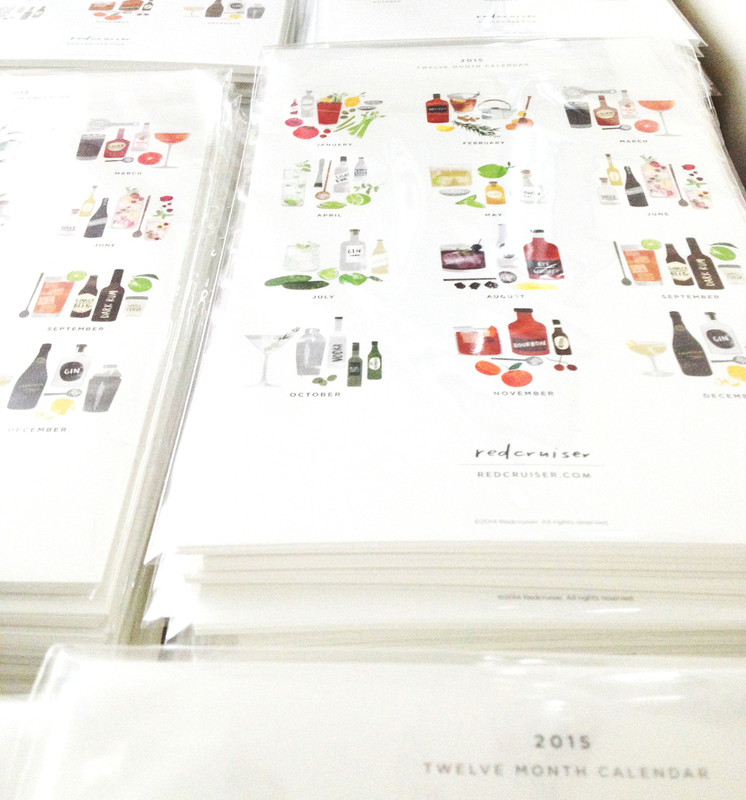 Lots of new pairings for my 2015 beer + food pairing calendar - which will available at the end of August. We had fun doing the extensive research for this project! The guys from the four firkins in st louis park helped me find all the different craft beers we were looking for. Muddle mint and cucumbers in shaker. Add ice gin and whatever sweetener using - if any - shake. Pour over ice add tonic. Much bigger - so pretty + space for every one! Old favorites: little gem, mizuna greens, bibb lettuce, red romaine, arugula, carrots, edamame, french breakfast radishes, kale, swiss chard, golden beets (well at least I like them) patty pan squash, spaghetti squash, black beauty zucchini, golden zucchini, tomatoes (black cherry, brandywine, a couple other new purples that I can't remember their name and I forgot to write down in my journal and my dog ate the marker… Rubys German) peppers, cucumbers, + pickling cucumbers this year! pole beans, onions + strawberries.